Bishop James Howard Clark was born December 31, 1923 in Freehold, NJ to the late Bishop William Clark, Sr. and Catherine Clark. The youngest of his siblings - William A. Clark, Jr., John W. Clark and Willie Mary White - Bishop Clark grew up in Asbury Park where he attended the Ridge Avenue Grammar School and later graduated from Neptune High School. Clark served in the United States Army during World War II for several years before receiving an honorable discharge in 1946. During his tour of duty, he spent time in the Philippines and seized the opportunity to learn the local language, Tagalog. His fluency in the language enabled him to serve as an interpreter for his superior officers. Clark also became fluent in Spanish, showing true mastery of both languages by breaking out into song for local hospital staff in their native tongue. In April 1952, Clark was baptized and received the Holy Ghost at Newark Way of the Cross in Newark, NJ. Later that same year, he married Mary Theresa Colleen Clark (nee Roach) on May 9, 1952. Born in Yazoo City, Mississippi, Roach moved to Brooklyn, NY but would subsequently reside in Matawan, NJ for 45 years. Their union would produce three children: Norma Gaye (nee Clark) and Barbara Pollins (nee Clark), and Melvin Clark. Bishop Clark joined the Church of Our Lord Jesus Christ of the Apostolic Faith, Inc. under the leadership of Bishop Joseph Moore, accepting the call to ministry in June 1952. 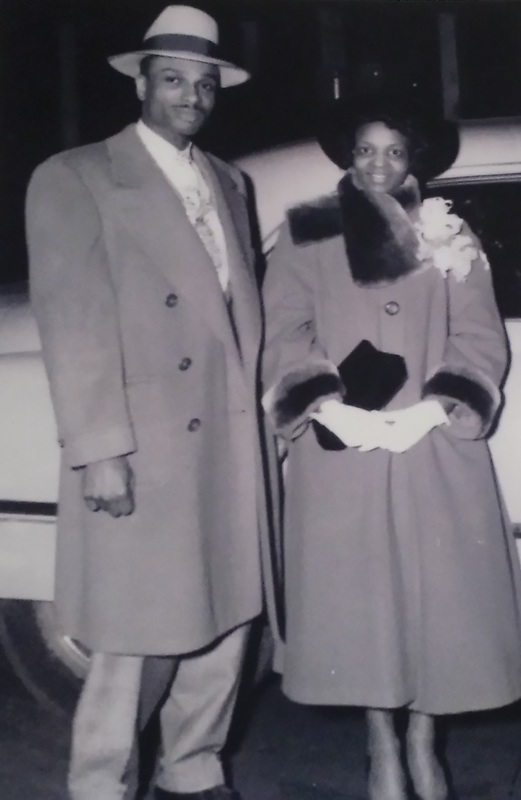 In 1954, Clark attended the Church of Christ Bible School of Harlem and was later ordained an Elder at the Bible Way Worldwide Convention in 1957. In 1960, Bishop Clark was directed by the late Bishop Robert C. Lawson to pastor Community Church of Christ in Cliffwood, NJ. Community Church of Christ, Inc. would subsequently join Church of Our Lord Jesus Christ of the Apostolic Faith, Inc. in September of 1960. At this time, the church consisted of three members and was 3 month behind on its mortgage. Elder Clark grew the congregation from its humble beginnings to substantial membership, which required the church to be renovated to triple its size. Community Church of Christ in Cliffwood (Bishop James H. Clark). Bishop Clark's many accomplishments included developing community work programs, providing food and shelter for those in need, providing prayer and bible study for the community, developing and maintaining 18 other churches. In honor of his service, Roosevelt Avenue where the church is located, was renamed to ‘Bishop James H. Clark Place’ in October 1999. Bishop Clark would serve as the pastor of Community Church of Christ, Inc. until 2003. He would later depart this life on Wednesday, November 11, 2009 at 5am, at Victoria House Nursing Facility, Matawan, New Jersey.